SampleStorm: Get a free sample of Truvia Natural Sweetness! 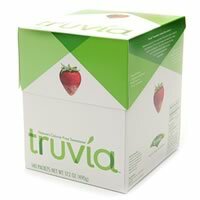 Now is the perfect time to try Truvia Natural Sweetener, America's number one natural, zero-calorie sweetener. To help you make the switch, we'll send you two free sample sachets and a valuable coupon. Simply fill out the form to get started.